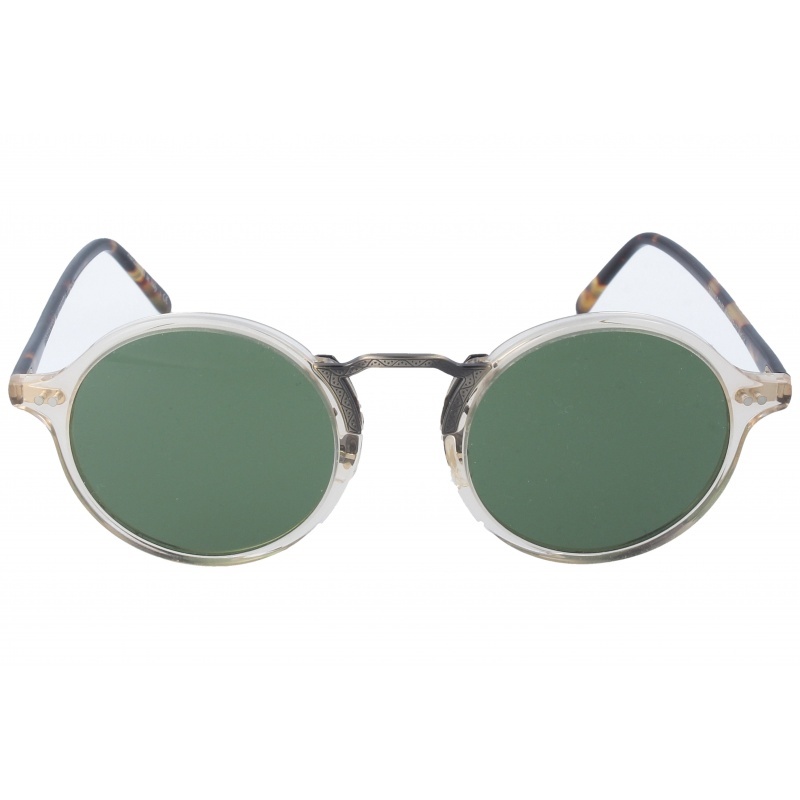 Sunglasses by the brand OLIVER PEOPLES Unisex Sunglasses, with reference S0007266, with a(n) Modern and Retro/Vintage style.Oliver Peoples After Midnight 1197T 5254R5 49 22 they have a(n) Full Rim frame made of Metal with a(n) Oval shape in aluminum colour. Their size is 49mm and their bridge width is 22mm, with a total frame width of 71mm. They have Organic, Silver, Uniform lenses. These glasses are suitable for prescription lenses. These are top of the range glasses from the brand OLIVER PEOPLES, made of high-quality materials, modern glasses that will give you a look that matches your image. Buy Oliver Peoples After Midnight 1197T 5254R5 49 22 sunglasses in an easy and safe way at the best price in our online store. Best-selling product! Product available for orders Free shipping on this item! 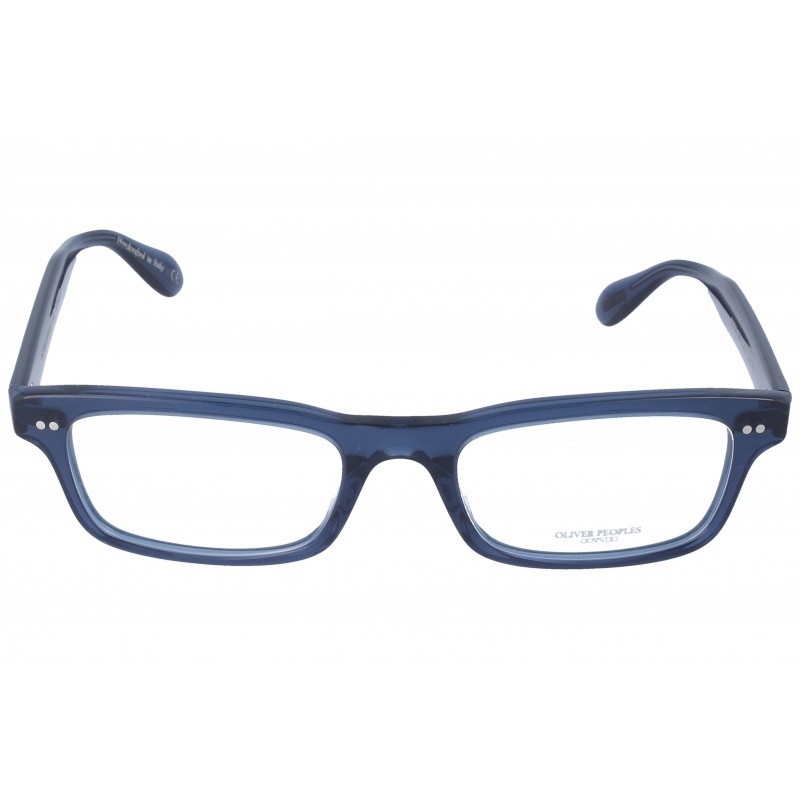 Eyewear by the brand OLIVER PEOPLES, for Eyeglasses for men, with reference M0014230, with a(n) Modern style.These Oliver Peoples Calvet 5396U 1670 51 19 have a(n) Full Rim frame made of Acetate / plastic with a(n) Squared shape in Blue colour. Their size is 54mm and their bridge width is 19mm, with a total frame width of 73mm. These glasses are suitable for prescription lenses. These are top of the range glasses from the brand OLIVER PEOPLES, made of high-quality materials, modern eyewear that will give you a look that matches your image. Buy Oliver Peoples Calvet 5396U 1670 51 19 eyewear in an easy and safe way at the best price in our online store. string(155) "Oliver Peoples Calvet 5396U 1670 51 19 GlassesEyewear by the brand OLIVER PEOPLES, for Eyeglasses for men, with reference M0014230, with a(n) Modern sty..."
string(38) "Oliver Peoples Calvet 5396U 1670 51 19"
string(129) "Combining elements of film, sport, fashion, and art in each eyewear frame Oliver Peoples enjoy a large celebrity consumer base. Sunglasses by the brand OLIVER PEOPLES for Women’s sunglasses, with reference S0010760, with a(n) Modern and Female style.Oliver Peoples Saurine 5394U 100383 50 22 they have a(n) Full Rim frame made of Acetate / plastic with a(n) Squared shape in Brown, Jaspe and Light brown colours. Their size is 50mm and their bridge width is 22mm, with a total frame width of 72mm. They have Organic, Brown, Uniform lenses. These glasses are suitable for prescription lenses. These are top of the range glasses from the brand OLIVER PEOPLES, made of high-quality materials, modern glasses that will give you a look that matches your image. 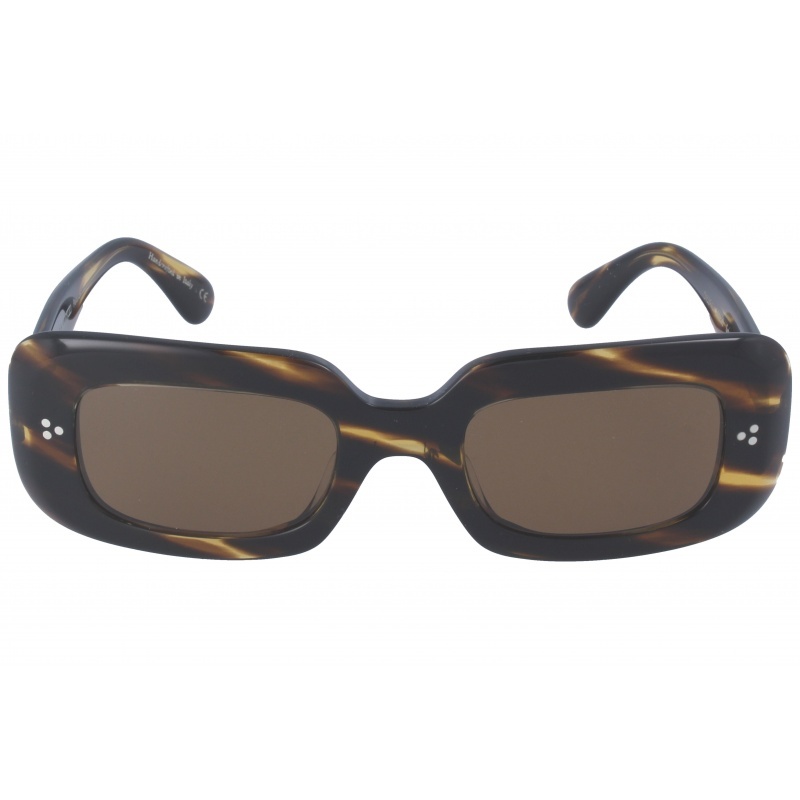 Buy Oliver Peoples Saurine 5394U 100383 50 22 sunglasses in an easy and safe way at the best price in our online store. string(155) "Oliver Peoples Saurine 5394U 100383 50 22 SunglassesSunglasses by the brand OLIVER PEOPLES for Women’s sunglasses,  with reference S0010760, with a(n)..."
string(41) "Oliver Peoples Saurine 5394U 100383 50 22"
Sunglasses by the brand OLIVER PEOPLES for Women’s sunglasses, with reference S0010759, with a(n) Modern and Female style.Oliver Peoples Oliver 5393U 1669R5 54 19 they have a(n) Full Rim frame made of Acetate / plastic with a(n) Cat Eye shape in Transparent colour. Their size is 55mm and their bridge width is 20mm, with a total frame width of 75mm. They have Organic, Gray, Uniform lenses. These glasses are suitable for prescription lenses. These are top of the range glasses from the brand OLIVER PEOPLES, made of high-quality materials, modern glasses that will give you a look that matches your image. 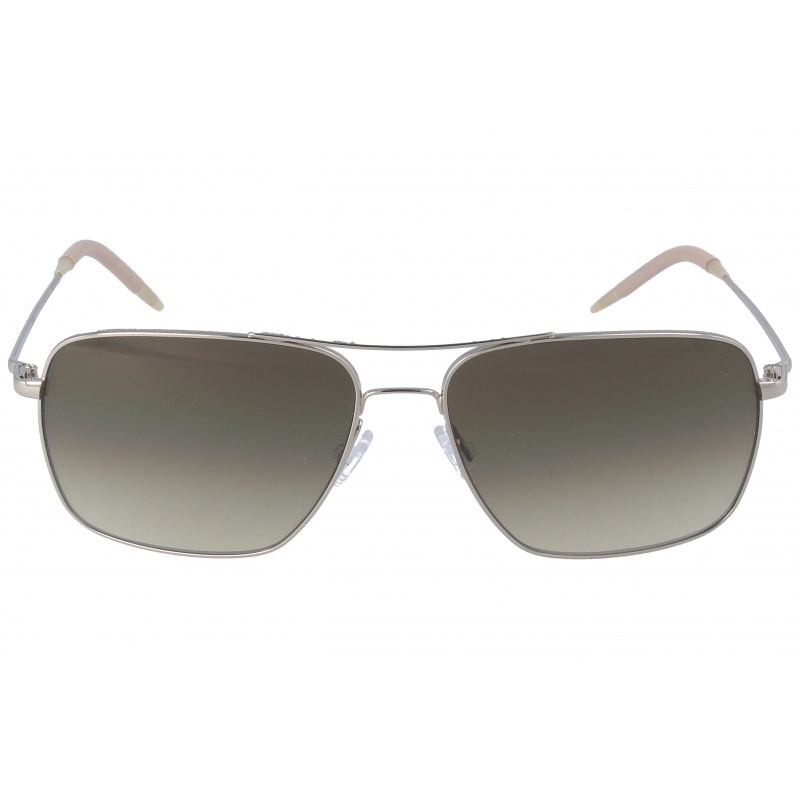 Buy Oliver Peoples Oliver 5393U 1669R5 54 19 sunglasses in an easy and safe way at the best price in our online store. string(155) "Oliver Peoples Oliver 5393U 1669R5 54 19 SunglassesSunglasses by the brand OLIVER PEOPLES for Women’s sunglasses,  with reference S0010759, with a(n) ..."
string(40) "Oliver Peoples Oliver 5393U 1669R5 54 19"
Sunglasses by the brand OLIVER PEOPLES for Women’s sunglasses, with reference S0010758, with a(n) Modern and Female style.Oliver Peoples Oliver 5393U 1612R5 54 19 they have a(n) Full Rim frame made of Acetate / plastic with a(n) Cat Eye shape in Grey, Brown and Jaspe colours. Their size is 55mm and their bridge width is 20mm, with a total frame width of 75mm. They have Organic, Gray, Uniform lenses. These glasses are suitable for prescription lenses. These are top of the range glasses from the brand OLIVER PEOPLES, made of high-quality materials, modern glasses that will give you a look that matches your image. 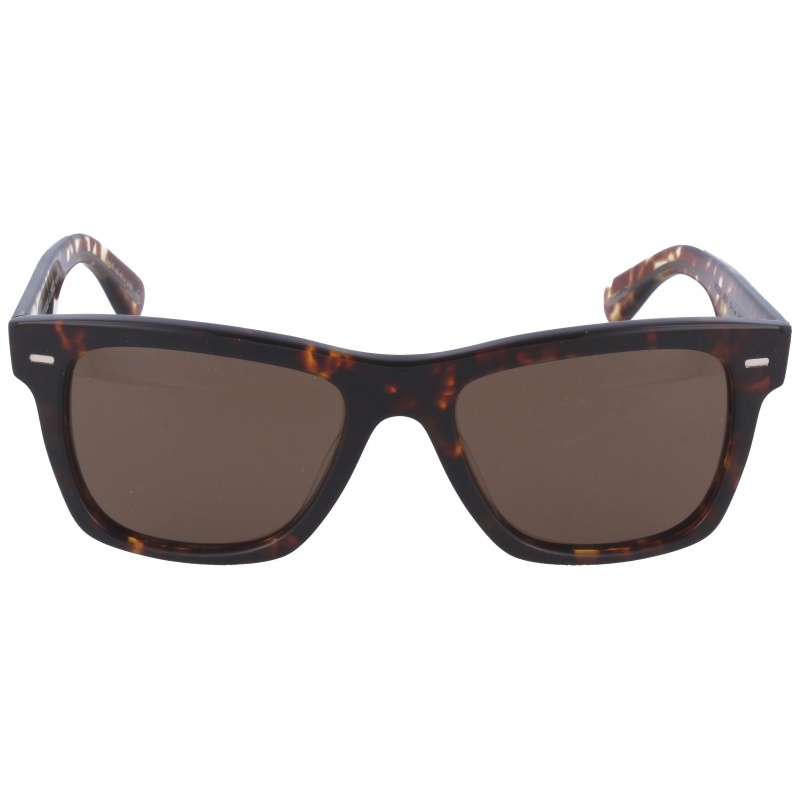 Buy Oliver Peoples Oliver 5393U 1612R5 54 19 sunglasses in an easy and safe way at the best price in our online store. string(155) "Oliver Peoples Oliver 5393U 1612R5 54 19 SunglassesSunglasses by the brand OLIVER PEOPLES for Women’s sunglasses,  with reference S0010758, with a(n) ..."
string(40) "Oliver Peoples Oliver 5393U 1612R5 54 19"
Sunglasses by the brand OLIVER PEOPLES for Women’s sunglasses, with reference S0010757, with a(n) Modern and Female style.Oliver Peoples Oliver 5393U 165457 54 19 they have a(n) Full Rim frame made of Acetate / plastic with a(n) Cat Eye shape in Brown, Jaspe and Light brown colours. Their size is 55mm and their bridge width is 20mm, with a total frame width of 75mm. They have Organic, Brown, PolarizedUniform lenses. These glasses are suitable for prescription lenses. These are top of the range glasses from the brand OLIVER PEOPLES, made of high-quality materials, modern glasses that will give you a look that matches your image. 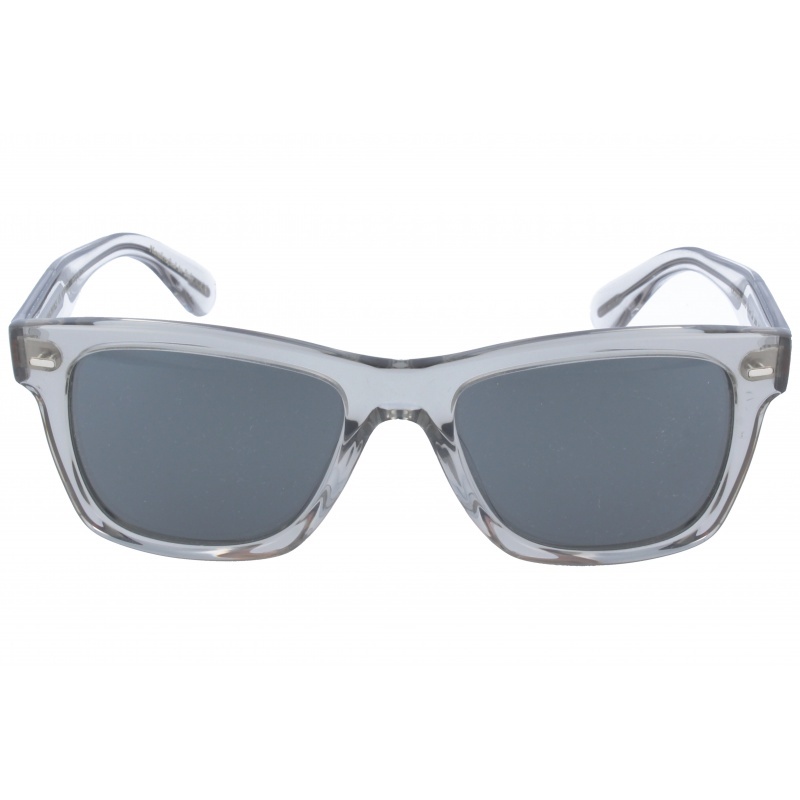 Buy Oliver Peoples Oliver 5393U 165457 54 19 sunglasses in an easy and safe way at the best price in our online store. string(155) "Oliver Peoples Oliver 5393U 165457 54 19 SunglassesSunglasses by the brand OLIVER PEOPLES for Women’s sunglasses,  with reference S0010757, with a(n) ..."
string(40) "Oliver Peoples Oliver 5393U 165457 54 19"
Sunglasses by the brand OLIVER PEOPLES Unisex Sunglasses, with reference S0010756, with a(n) Retro/Vintage style.Oliver Peoples Kosa 5391 162652 48 21 they have a(n) Full Rim frame made of Acetate / plastic with a(n) Round and Oval shape in Transparent colour. Their size is 48mm and their bridge width is 21mm, with a total frame width of 69mm. They have Organic, Green, Uniform lenses. These glasses are suitable for prescription lenses. These are top of the range glasses from the brand OLIVER PEOPLES, made of high-quality materials, modern glasses that will give you a look that matches your image. Buy Oliver Peoples Kosa 5391 162652 48 21 sunglasses in an easy and safe way at the best price in our online store. string(155) "Oliver Peoples Kosa 5391 162652 48 21 SunglassesSunglasses by the brand OLIVER PEOPLES Unisex Sunglasses,  with reference S0010756, with a(n) Retro/Vint..."
string(37) "Oliver Peoples Kosa 5391 162652 48 21"
Eyewear by the brand OLIVER PEOPLES, for Eyeglasses for men, with reference M0014229, with a(n) Modern style.These Oliver Peoples Caren 5374U 1566 53 17 have a(n) Full Rim frame made of Acetate / plastic with a(n) Squared shape in Blue colour. Their size is 53mm and their bridge width is 17mm, with a total frame width of 70mm. These glasses are suitable for prescription lenses. These are top of the range glasses from the brand OLIVER PEOPLES, made of high-quality materials, modern eyewear that will give you a look that matches your image. Buy Oliver Peoples Caren 5374U 1566 53 17 eyewear in an easy and safe way at the best price in our online store. string(155) "Oliver Peoples Caren 5374U 1566 53 17 GlassesEyewear by the brand OLIVER PEOPLES, for Eyeglasses for men, with reference M0014229, with a(n) Modern styl..."
string(37) "Oliver Peoples Caren 5374U 1566 53 17"
Sunglasses by the brand OLIVER PEOPLES for Sunglasses for men, with reference S0010755, with a(n) Formal, Modern and Elegant style.Oliver Peoples Clifton 1150 503585 58 15 they have a(n) Full Rim frame made of Metal with a(n) Squared shape in Golden colour. Their size is 58mm and their bridge width is 15mm, with a total frame width of 73mm. They have Organic, Golden, MirrorGradient lenses. These glasses are suitable for prescription lenses. These are top of the range glasses from the brand OLIVER PEOPLES, made of high-quality materials, modern glasses that will give you a look that matches your image. Buy Oliver Peoples Clifton 1150 503585 58 15 sunglasses in an easy and safe way at the best price in our online store. string(155) "Oliver Peoples Clifton 1150 503585 58 15 SunglassesSunglasses by the brand OLIVER PEOPLES for Sunglasses for men,  with reference S0010755, with a(n) Fo..."
string(40) "Oliver Peoples Clifton 1150 503585 58 15"